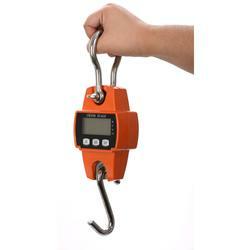 The crane scale has a bright large LCD display that is clearly visible in any light conditions. The scale is enclosed in a sturdy mild steel housing which is impact and vibration proof. Although it is not designed water-proof, it is good for using in most weather conditions. The scale comes with a shackle (instead of link) for easy handheld.